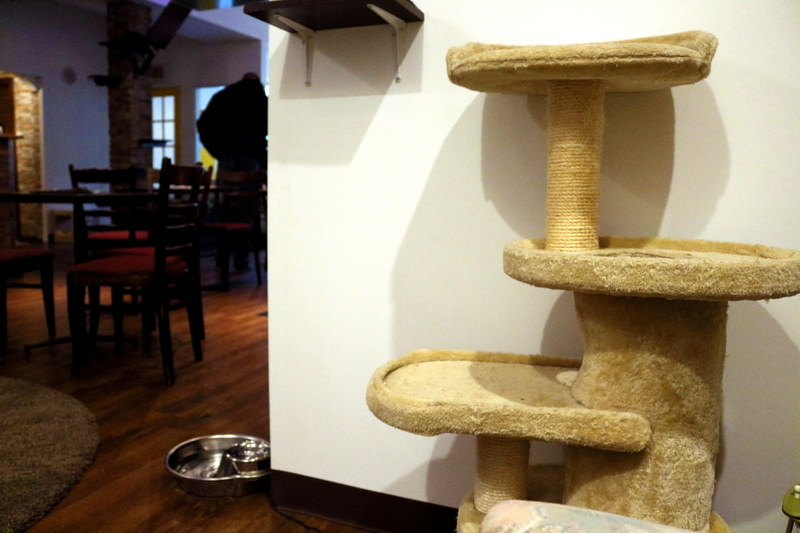 Duluth Cat Café L'Heureux. Photo Lisa Dorche. 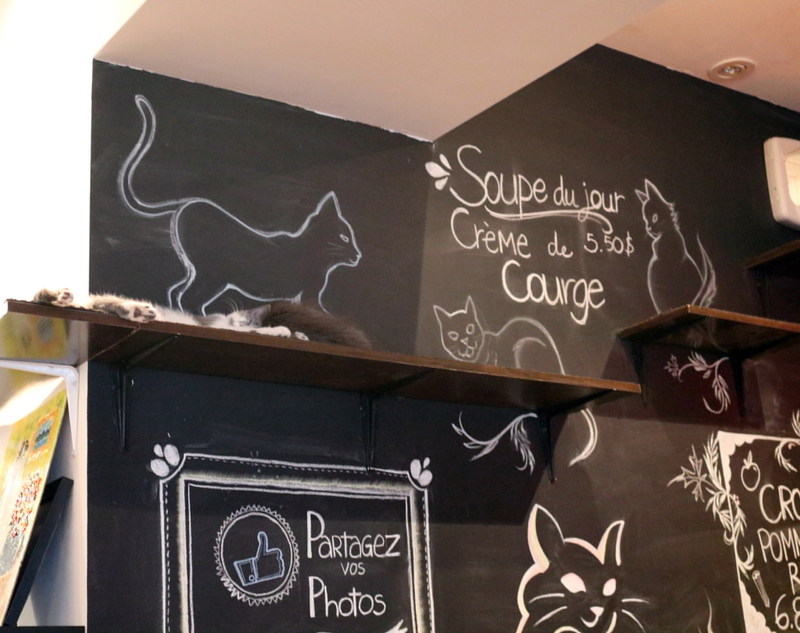 The Café chat l’heureux seems to be a rather normal coffee shop from the outside. The place is on Duluth and Hotel de Ville has a cheery yellow front, rows of tables and waiters. 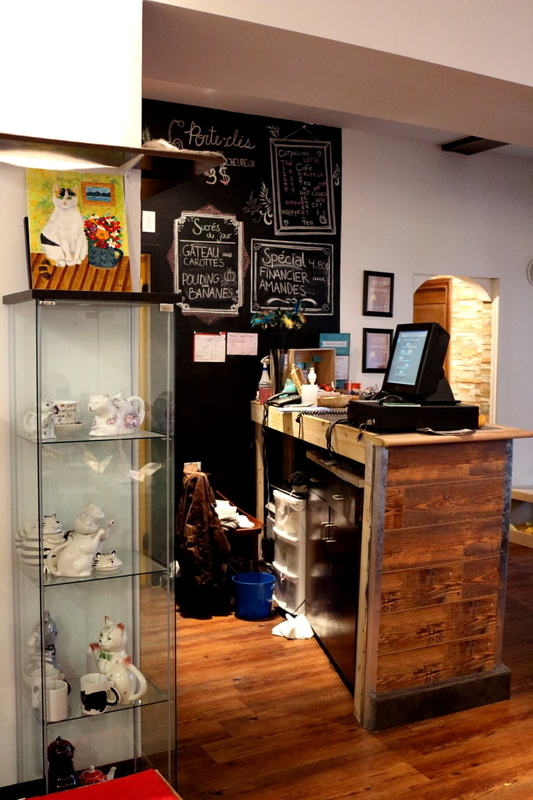 When entering the cafe, we immediately feel the promised warmth of the place. 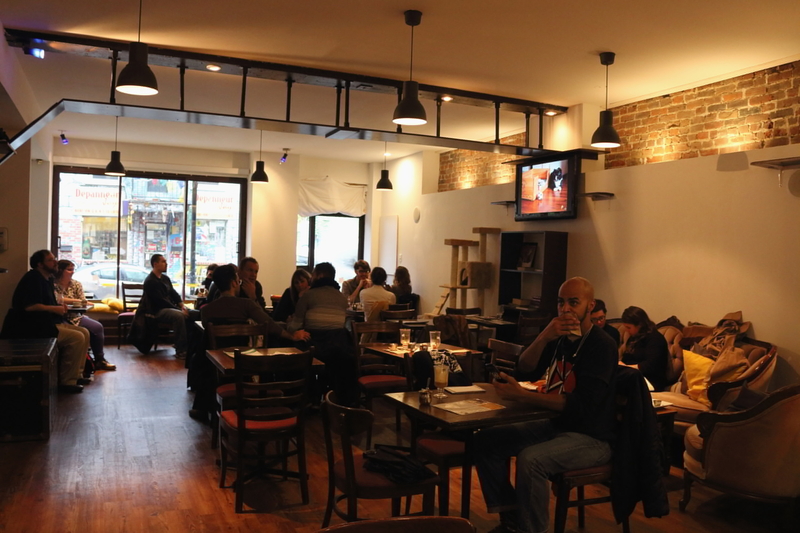 There is calm and pleasant music, and customers are working or eating while talking softly. There are plenty of tables in the not-so-big room, but set far enough apart for customers not to step on each other and have their privacy. Almost all the coffee tables are taken, although it is three in the afternoon on a weekday. This new concept seems to attract lot of people. Two large sofas (on which I sit) are located at the back of the room in a corner. Everything is made so that you feel cocooned, where you can relax, eat and also work. 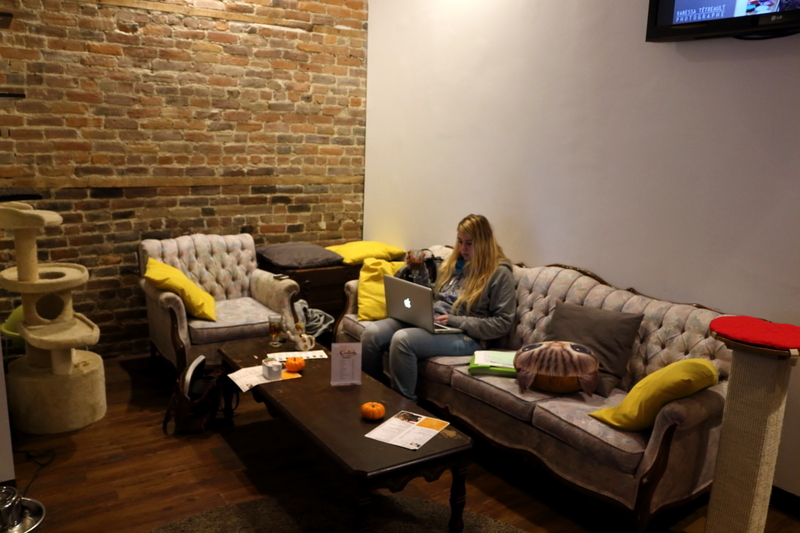 Duluth Cat Café L’Heureux. Photo Lisa Dorche. At first, I wonder what happens here. Is there a problem today? I can see all the accessories for cats, the games, the shelves and cushions, but I see no cats! Maybe they are hidden, or maybe I was just expecting too much on the principle that attracted me here in the first place. So I start out a little disappointed on my very comfortable sofa, and I just grab my computer and my things to start working. 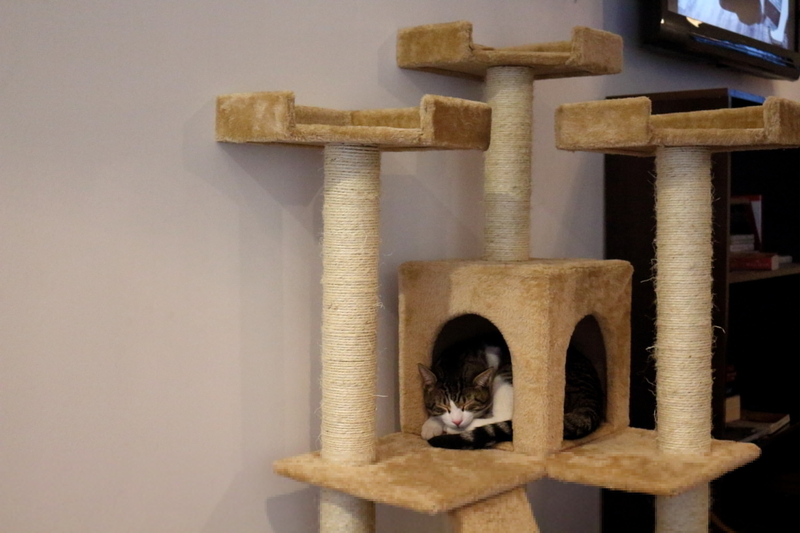 Cat Café. Photo Lisa Dorche. The dishes I see around me look delicious and everyone seems to be thrilled. I hear really great things about their salads and their smoothies. We look at the menu and know this is an expensive concept. My friend and I choose to order tea and coffee; the rest is a bit too pricey. 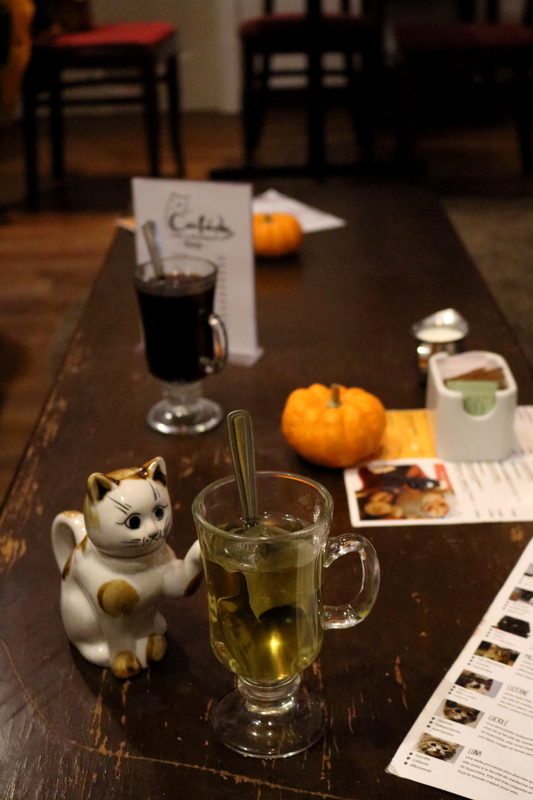 My tea arrives quickly and a small porcelain cat is brought to me as a teapot. 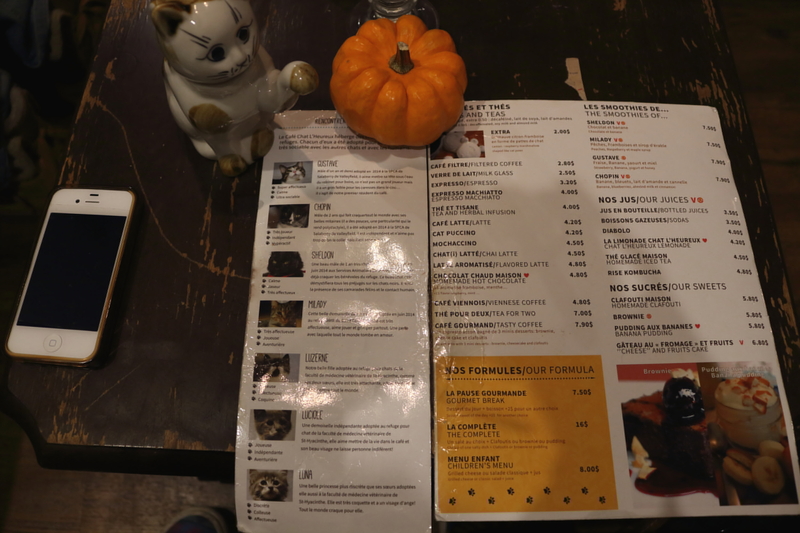 All pictures and decorations are connected to our favorite feline, giving a rather kitschy atmosphere but no real cats yet. After about ten minutes of despair, I finally see them, these famous cats that everyone comes to see. They are on shelves, sleeping or just chilling, they seem so happy that it is good to see. Now, I am a little disappointed not to be able to approach them because they are too high or too far. 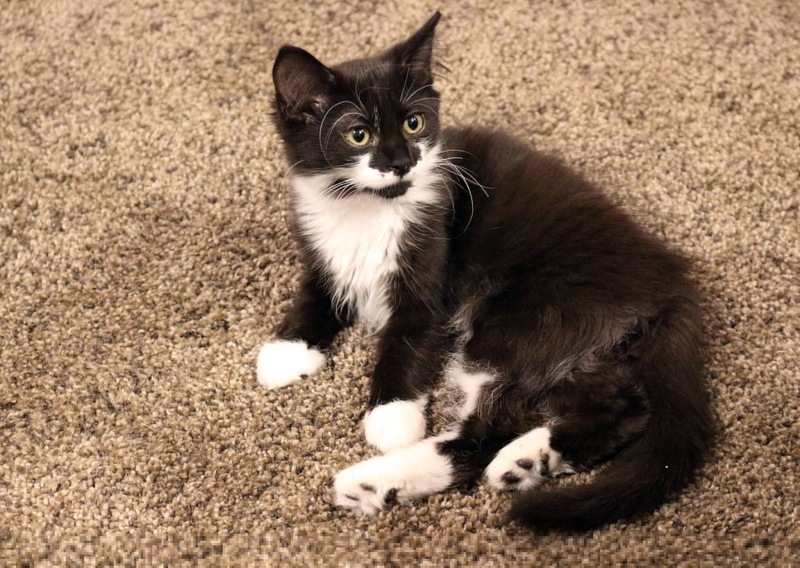 Duluth Cat Café. Photo Lisa Dorche. After a moment, a cat finally decides to get off his shelf and visit us. He is not shy and even climbs on the table. This is one of the only interactions with a cat we have during our time here. We decide not to stay long because our love for cats prevents us from working and we are often distracted when one of the cats looks up. In conclusion, this is a very quiet place, and the atmosphere is very cool. The dishes look really good even if I didn’t get to try any. It’s a place where you definitely feel like home, and where you can relax, and some people even manage to work (even if it is not so in my case). 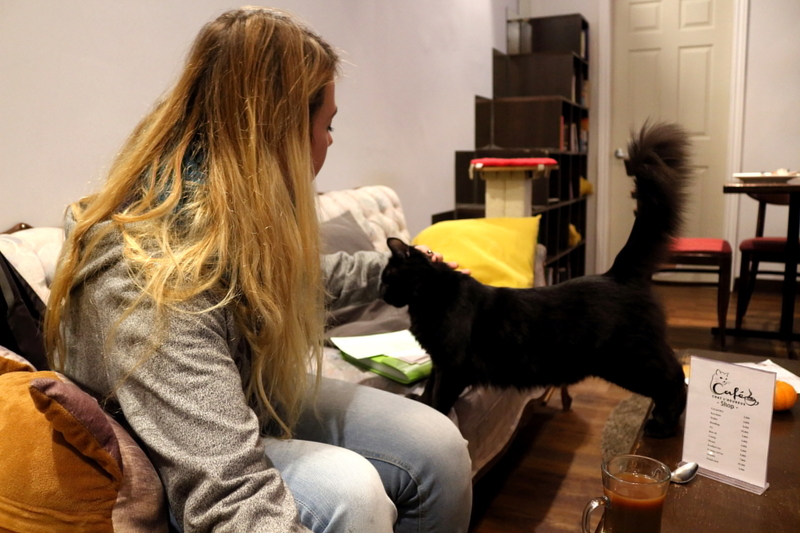 Conversation, cats, and good music, what else could we ask for?